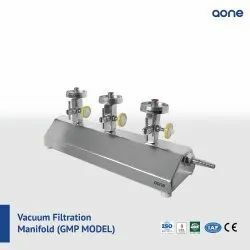 Sterility Test Manifold System with 6 stations is an integrated filtration system having a prime application in filtering multiple samples off one vacuum source. It is without filter holders. 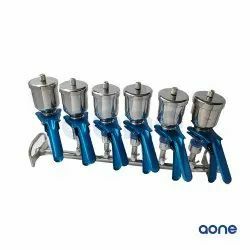 It is perfectly supported on stainless steel manifold with rugged side supports which keeps the system rigid and firm even while fully loaded Use For West Water, Cosmetics, Pharmaceutical Products Analysis, Bio burden Testing, Water Monitoring Sterility Testing. 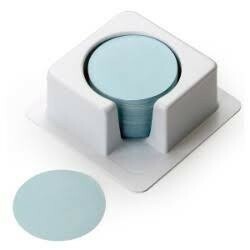 With the help of dexterous professionals, we have been accomplished to offer our customers the best quality range of Solvent Filtration Kit Holder with SS Valve. 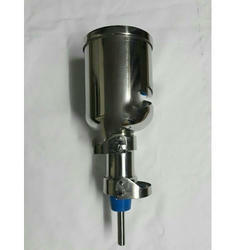 Special design for microbiology filtration. Excellent chemical resistance and can Be Use sterilized by flame or liquid. Protein binding, gravimetric analysis, California, yeast, mold total bacteria & sterility testing. 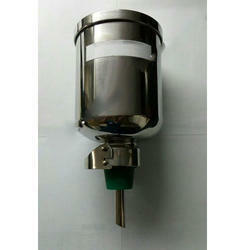 We manufacture Stainless Steel Filter Holder, sterility Test unit as per various specification. 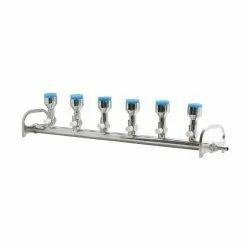 It is known for its quality and attractive design. 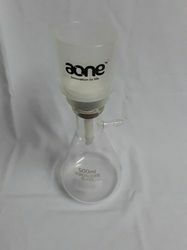 Flow Rate 50ml / sec. 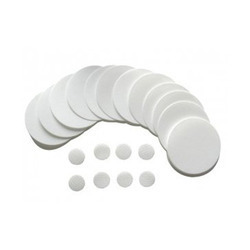 Diameter 15 " x 4"
Product Description: They have been designed specifically for applications in which the particles or microorganisms retained on the membrane filter surface are of interest. Simple handling is very important regarding routine examinations. Stainless steel taps in the base allow the vacuum to be turned on and off. 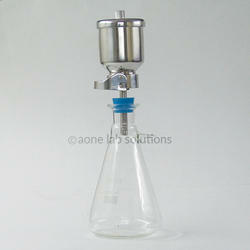 Stainless steel and PP funnel, SS funnel & glass funnel for choice. 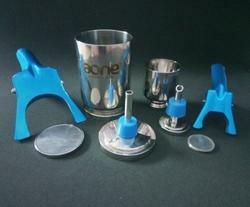 Our customer can avail from us an exclusive series of Syringe Filter Holder. The products are extremely admired or their top features. 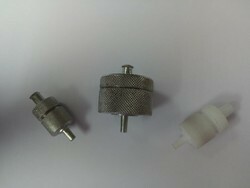 We manufacture Syringe Filter Holder. It is known for its quality among all our buyers. Owing to their ruggedness and seamless finish, these are broadly recommended. 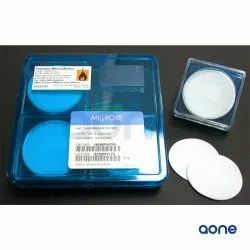 Use for filter or cleaning small volumes of liquid as eyewash or photoresist. For HAPLY applications and solvents. 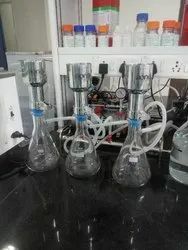 We are manufacturing superior quality Solvent Filtration Assembly. 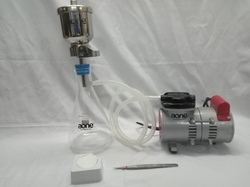 It is provided with Vacuum Pump. that is used to filter the solvent for H.P.L.C. system. 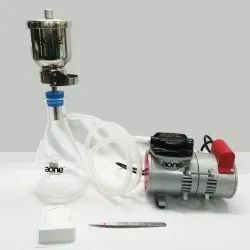 We offer this filtration kit in various sizes, shapes and designs and is supplied within the promised time-frame to our clients. 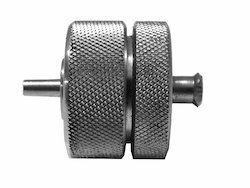 Our offered filtration kit is manufactured by our associated vendors in compliance with international quality standards. To meet the varied needs of clients, it is offered in various technical specifications in order to meet the diverse requirements of the clients. 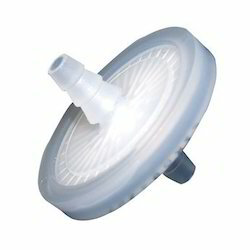 Convertible funnel adaptor design allows user to fit their desired funnel (reusable or disposable) easily. 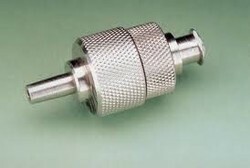 Forward: 3.5 bar @ 23°C and 3.0 bar @ 60°C for liquid; 3.0 bar @ 23°C and 2.5 bar @ 60°C for air gas. 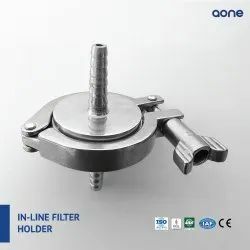 • The Filter Holder Made of 316L SS with Fine polished. • Special design for microbiology filtration. 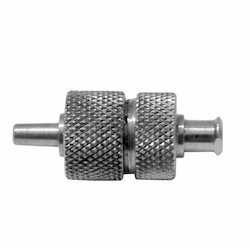 • Special adapter provide for proper sealed locking. • Beverage analysis food testing. 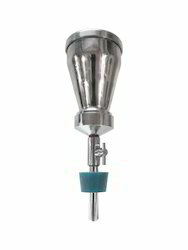 • Protein binding, gravimetric analysis, California, yeast, mold total bacteria sterility testing. 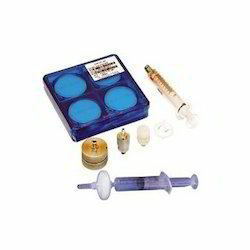 • Ideal for water waste water analysis. 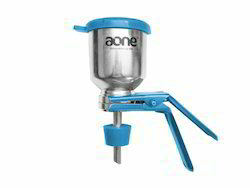 • Residue precipitate analysis and contamination tests. 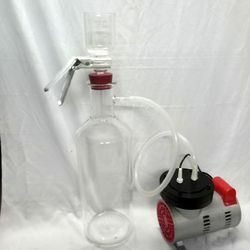 Solvent Filtration Kit. 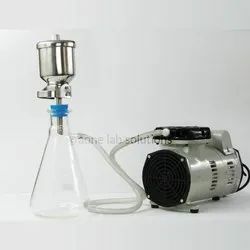 It is provided with vacuum Pump. that is used to filter the solvent for H.P.L.C. system. We offer this filtration kit in various sizes, shapes and designs and is supplied within the promised time-frame to our clients. 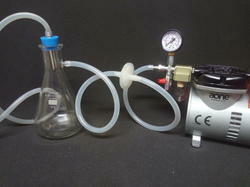 Our offered filtration kit is manufactured by our associated vendors in compliance with international quality standards. To meet the varied needs of clients, it is offered in various technical specifications in order to meet the diverse requirements of the clients. 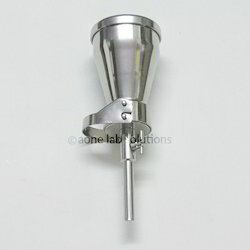 We are one of the leading name in the market engaged in providing Sample Filteration Kit. Available at market leading prices.